meghan eats local: You Say, "Potato!" I say, "No, Dummy, It's a Turnip." You Say, "Potato!" I say, "No, Dummy, It's a Turnip." My roommates and I decided to name our apartment Tigh Vino. "Tigh" (pronounced "chee") is Irish Gaelic for "house." It is used the same way as "chez" in French or "casa" in Spanish, meaning it can preface the names of rich people's summer cottages. "Vino" means wine (in Italian; I think the word for "wine" in Irish Gaelic is "whiskey"). It was the obvious choice for the name of our apartment since we spend most of our evenings sharing a bottle of wine in our living room while we get schoolwork done (or shop online for shoes). By the way, I can make fun of Ireland because I'm Irish. And as an Irishwoman, I like potatoes. I wanted to make some breakfast potatoes to return to my (pre-potato famine) roots. But there were no potatoes handy at Tigh Vino. 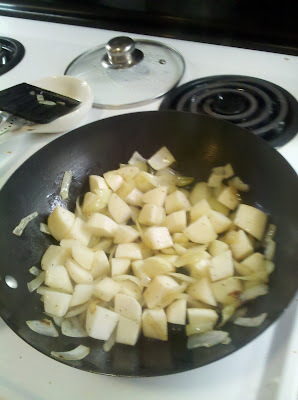 So I chose another root, of which I had too many: turnips. I bet you're thinking, "What?! You can never have too many turnips." You might be right. 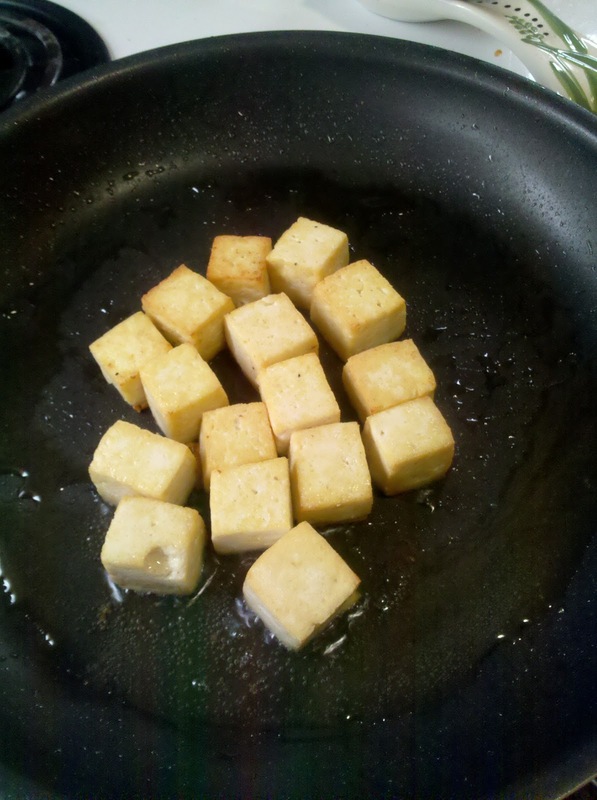 They're pretty delicious, especially when you prepare them just like breakfast potatoes. 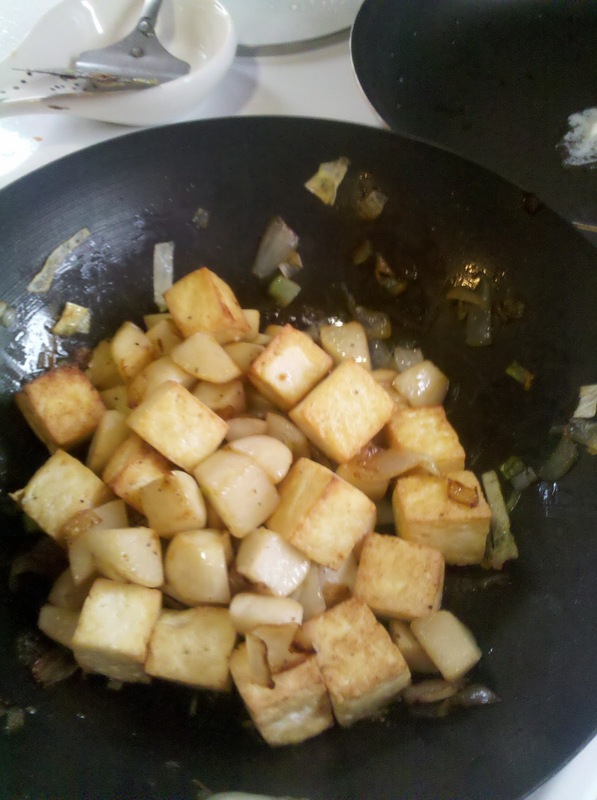 This breakfast potato-style turnip undertaking was a Tigh Vino joint effort, since Emily came up with the idea and my other roommate Amy and I cooked it together. Amy isn't a vegan, so she also made some sunny-side up eggs to put on top. I'd say this project was a pretty successful returnip (!) to my roots. I enjoyed the "(pre-potato famine) roots" and "returnip to my roots" puns. I might have also gone with "tuberous roots."